Crimea expects India to be an important partner in its development as the pharmaceutical companies of the two sides forge contacts. Enterprises based in the Crimean Republic have established contacts with Indian pharmaceutical manufacturers. 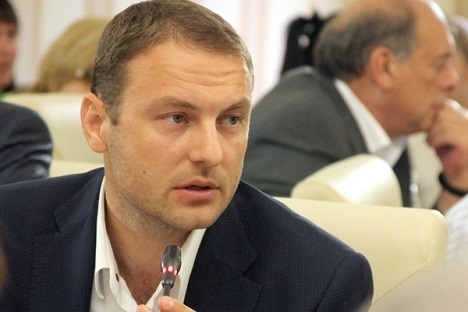 The news was announced at a session of the regional government by Crimean Minister of Industrial Policy Andrei Skrynnik, reports RIA Novosti. The minister underlined that Indian medicines are low cost and high quality. Pharmaceuticals have become one of the first areas of cooperation between Crimea and India. At the end of last year, the Crimean head of state Sergey Aksyonov announced an agreement with Indian investors, interested in constructing a pharmaceutical manufacturing laboratory. "We insist that we should produce medicines ourselves, rather than import them from elsewhere," he said. Cooperation between the Crimean Republic and India is largely conducted through a newly formed organisation, called the Indian-Crimean Partnership, which acts as an association in Indian business circles. The memorandum of understanding between the Republic of Crimea and the Indian Crimean Partnership was signed on December 11, 2014. The pact was signed by Aksyonov and Gul Kripalani, a representative of the Indian Crimean Partnership, in the presence of Crimean representatives, during the visit by Russian President Vladimir Putin to India. According to Kripalani, the interest in Indian business circles in Crimea is constantly growing and the number of entrepreneurs in the association will steadily increase. Under sanctions and Western pressure, Crimea is actively seeking new foreign partners to develop mutually beneficial economic and cultural connections. Apart from receiving the status of a free trade zone, Crimea is quickly becoming a Russian hub for investment in the energy sphere, infrastructural facilities and many other branches of national economy. A strategic ally of Russia, India may become one of the largest investors in the peninsula’s economy. The two sides are interested in long term cooperation across a broad spectrum of industries, from mechanical engineering, pharmaceuticals, agriculture and tourism to information technology, micro-electronics and the establishment of technology parks. “Sanctions against Russia are preventing neither Crimean industry, nor trade, nor any other business in its efforts to develop and establish trade links. Thanks to the leadership of the Russian Federation, new partners and new markets are appearing,” as said Skrynnik in December last year. Crimea expects a delegation of Indian businessmen and journalists in 2015. This will help Indians to know the peninsula better and lay the foundations for a long and productive relationship.